Iris Socializer is photo booth and GIF booth in one. 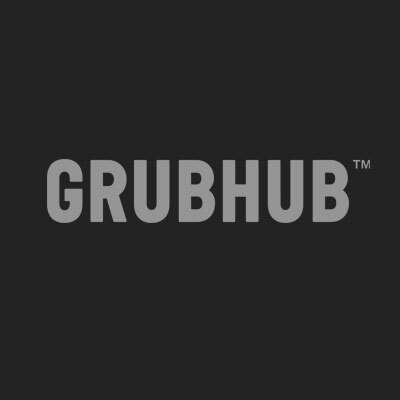 Use it to create brandable content that can be shared instantly. 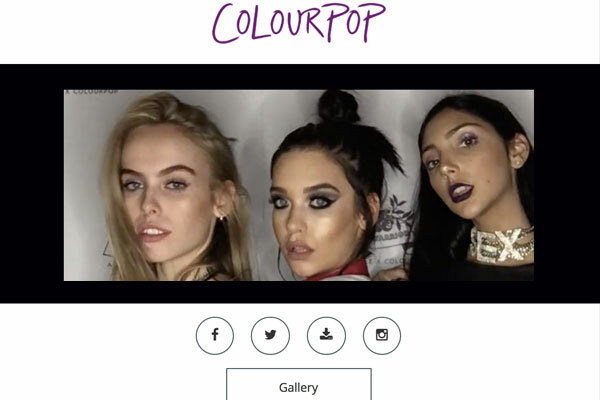 Users can choose from stills, animated GIFs and boomerang GIFs to become their own producer, actor and director. 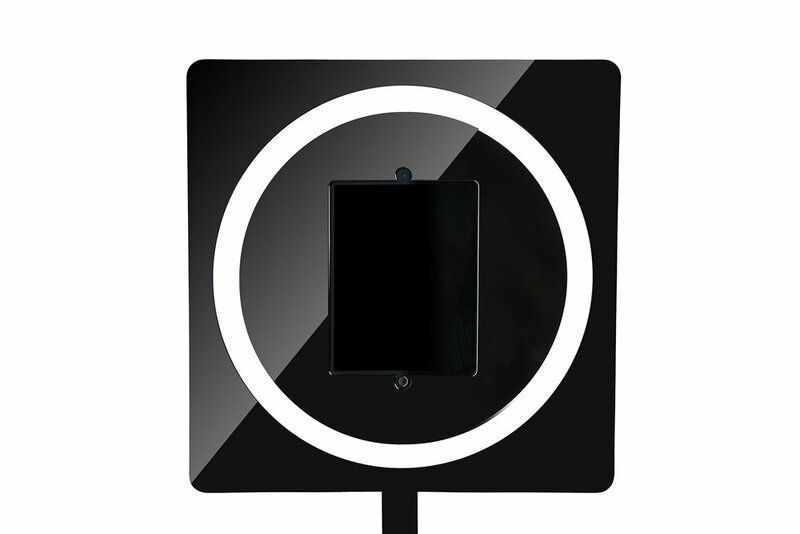 Its modern style and alluring ring light attract crowds and enhance engagement. 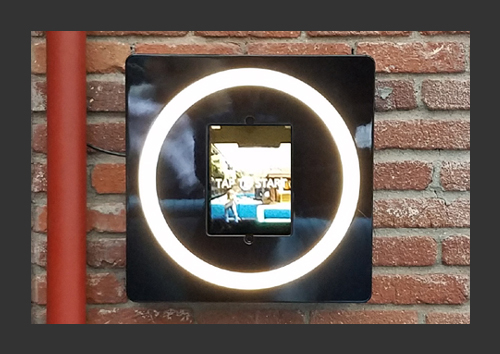 Iris is perfect for permanent installation in locations such as: retail, restaurants, nightclubs, bars, hotels, lounges, boutiques, salons, amusement parks, museums, dental offices, etc. Iris is perfect for events such as: corporate events, trade shows, festivals, weddings, birthdays, brand activations, marketing events, wrap parties, movie premiers, product launches, fundraisers, conferences, convention centers, expos, holiday parties, company parties, etc. 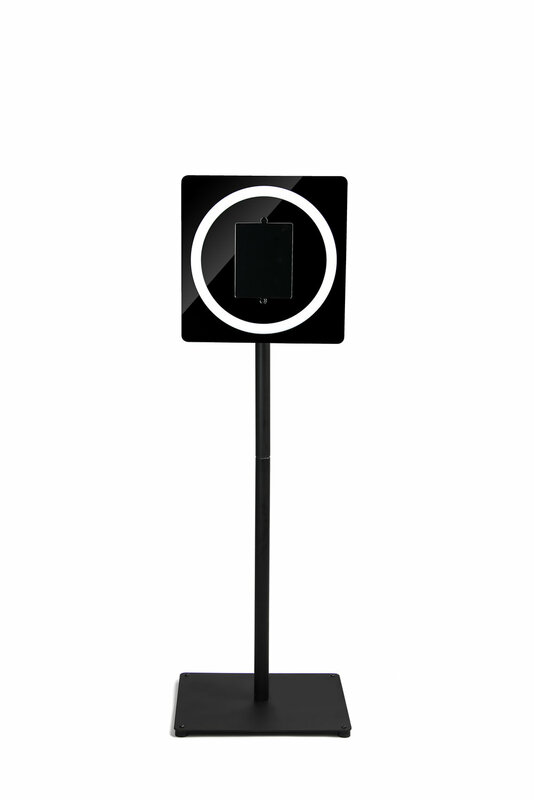 Includes: Iris photo booth, Height-adjustable stand with cord management, Waterproof travel case with wheels. Includes: Iris photo booth, Photo Printer, Height adjustable stand with cord management, Waterproof traveler case with wheels. By owning your own iRis Photo Booth, enhance social engagement at your event by creating a branded interactive photo experience. What makes our booth smarter? Having been photo booth operators for many years, we have had our share of ups and downs with the products available in the market. Through our experience, we believe the most important features of a photo booth are design, dependability and user-friendliness. Iris is the culmination of many years of working in the business to design the ideal product that can be used by anyone. 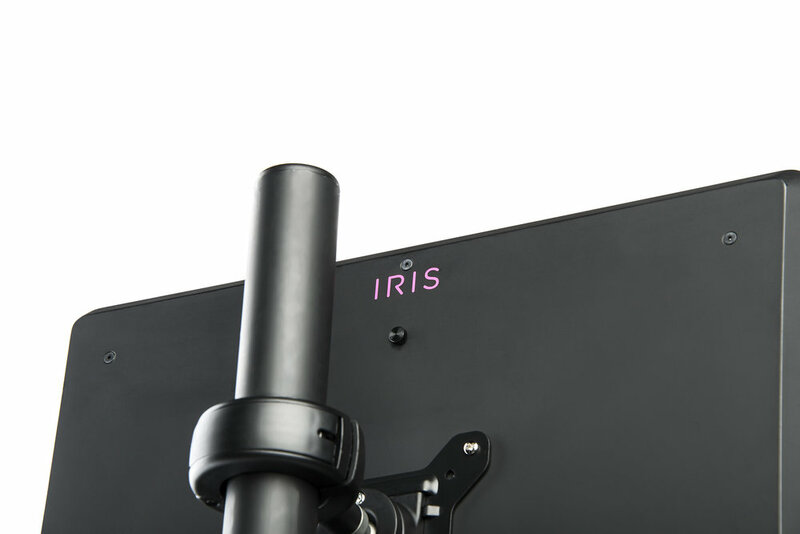 Iris is ultra compact and lightweight and sets up in a about a minute. By making it iPad based, we eliminated the IT challenges that plague PC-based photo booth systems. There are no USB devices, hubs, cables, or external lighting. The software features a simple user interface that is so intuitive, a first-time user can help themselves. You can just set it and forget it. 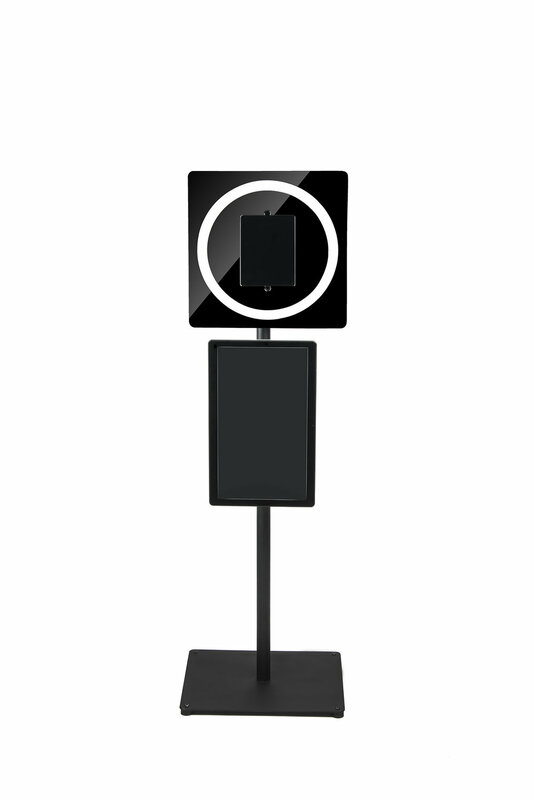 With its modern and stylish design, it is also one of the best looking photo booths you can buy. (Without Stand) 18" X 18" X 3.5"
Stand Base Dimensions: 17" x 20"